MOTIVATED SELLER! 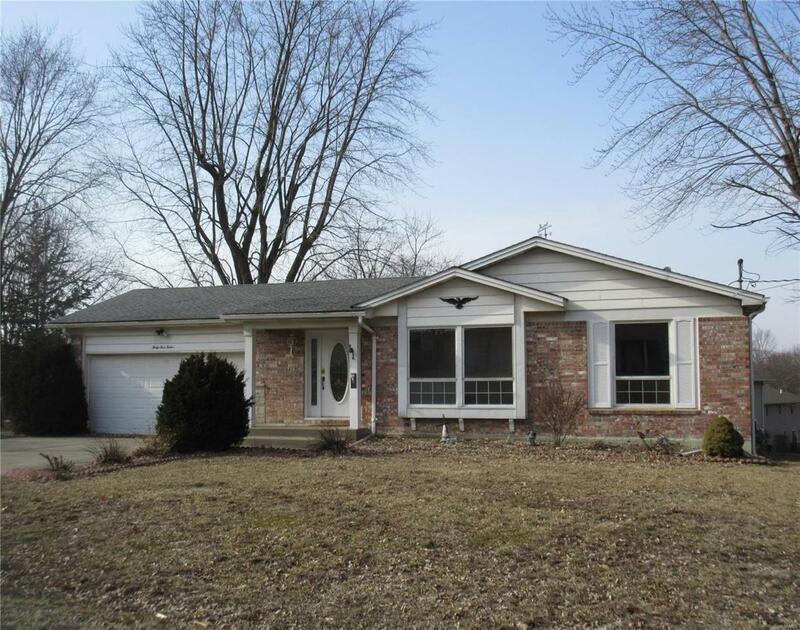 Full brick ranch is perfect for your growing family. Unique floor plan with many possibilities. Walk-in into a large entry foyer with ceramic tile flooring. Both living & family rooms are good size. One could be used as a formal dining room if desired. 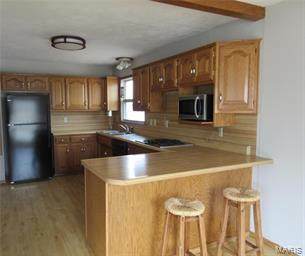 Kitchen features oak cabinets, breakfast bar & nook. All appliances will stay, new electric cooktop will be installed soon. 3 bedrooms tucked down the hallway. Master bedroom has a private bath with shower. The basement has a large recreational room with fireplace, 4th bedroom, full bath, and office/craft area. The wood stove in the basement is nonfunctional. Huge garage with a bonus area in the back, could possibly fit 4 cars. House needs some work, but its full brick with lots of sq feet. Paint and flooring go a long way! Furnace 2010, water heater 2017, roof 2008 or 2009, garage door opener 2018. The carpet was removed in the basement yrs ago due to tree roots in sewer line, sellers had no problems since.